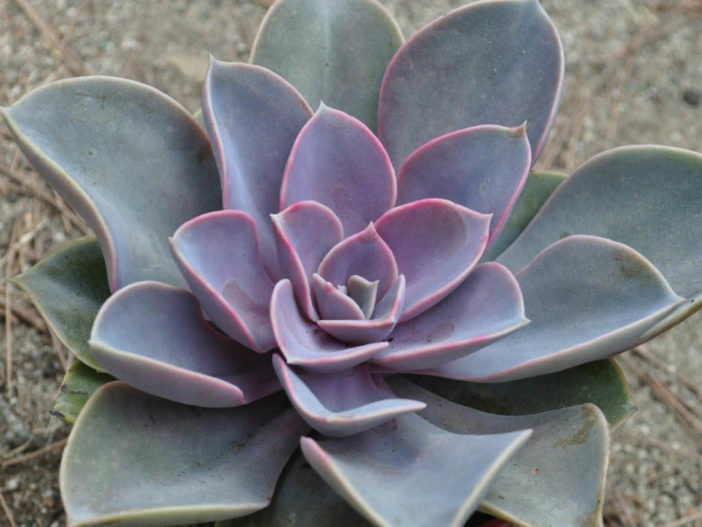 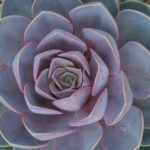 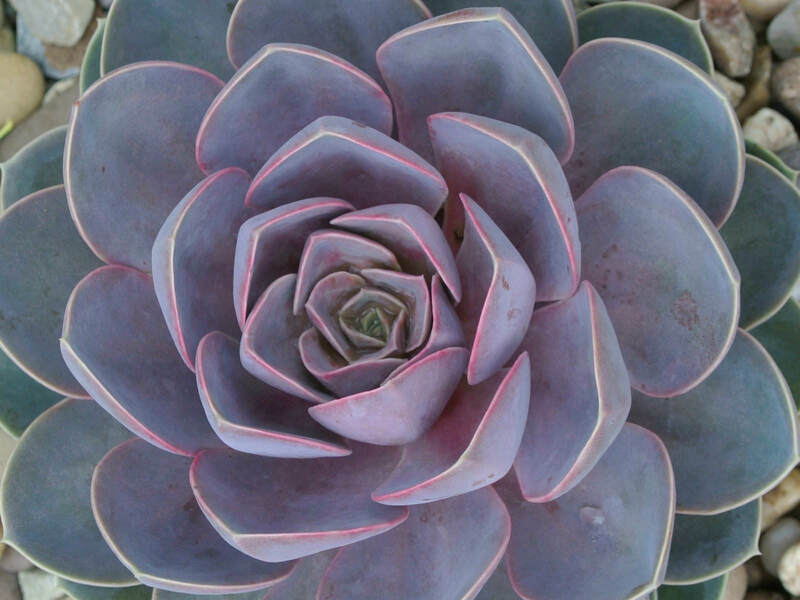 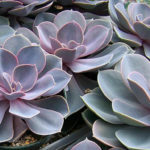 Echeveria ‘Perle Von Nürnberg’ is a beautiful succulent that has interestingly colored acuminate leaves that are a pale grayish brown with pink highlights and have a white powdery dusting. 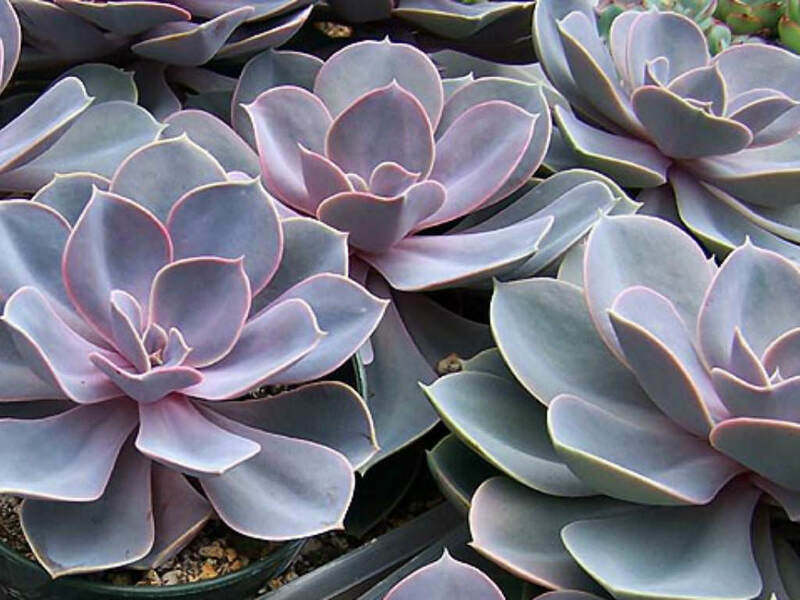 The leaves overlap in solitary, up to 6 inches (15 cm) wide rosettes. 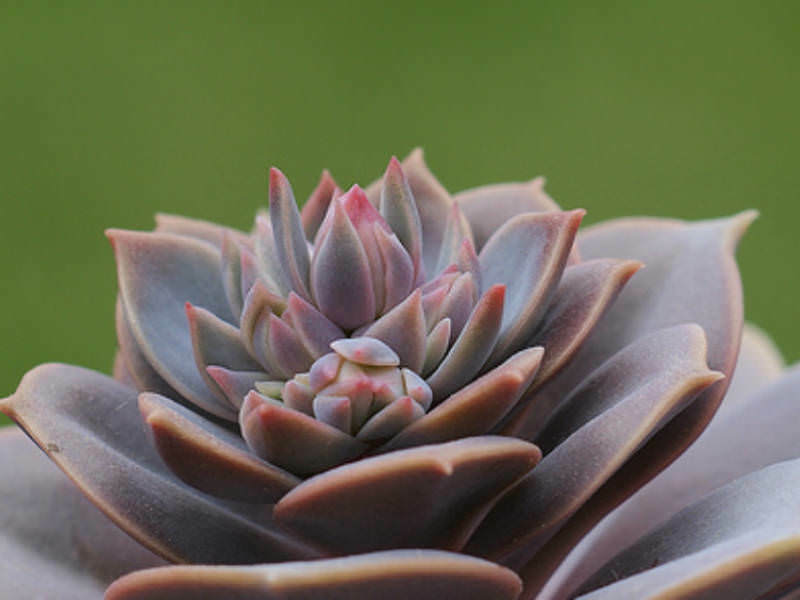 The flowers are corral pink in color on the exterior with a yellow interior and appear in summer on 1 foot (30 cm) long reddish-stemmed inflorescences. 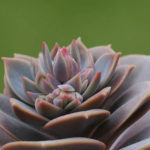 Hybrid between Echeveria gibbiflora x Echeveria elegans.